A Public Interest Litigation (PIL) has been filed in the Supreme Court by activist and columnist Harsh Mander through Senior Advocate Indira Jaising accusing the Union government of trying to interfere with the functioning of the public prosecutor in the 2008 Malegaon blasts case by exerting "pressure" on her to "go soft" on the accused. According to a Zee News report, the PIL alleges that National Investigation Agency (NIA) officials had pressured erstwhile Special Public Prosecutor in the case Rohini Salian to "go soft" on the accused "presumably" under instructions from their "political masters". Salian, who was earlier the SPP in the case, had recently sparked a major controversy when she alleged that an NIA officer had told her to "go soft" on the accused, a charge denied by the anti-terror agency. She also claimed the same officer had told her that she would be replaced. Salian is no longer on NIA's panel of lawyers. 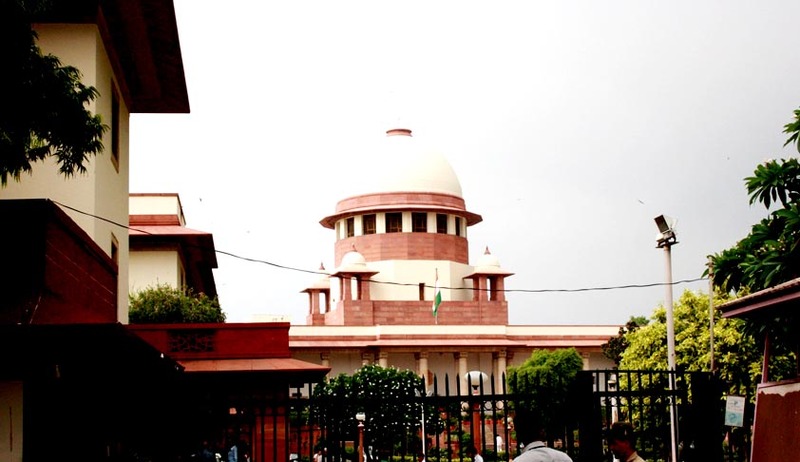 The petitioner has sought the issuance of an appropriate "writ, direction or order appointing an advocate of eminence and reputation having high standards of integrity as the Special Public Prosecutor for conducting the trial in the 2008 Malegaon blasts case". "That the factual conspectus afore-stated goes a long way in showing that the government of the day has tried to interfere with the functioning of special public prosecutor, treating the post as if it is under the Government in utter disregard to the principle laid down by this Court...," the PIL said. The PIL said pressure exerted on Salian by NIA officials seriously compromised a fair and transparent trial in the case. "If there is credible reason to fear that public prosecutors are made to succumb to the wishes of their political masters, it is submitted that public faith in the entire edifice on which the free, fair and transparent trial is based would crumble," the petition says. Referring to Salian's interview to media, the PIL alleges that she had made "startling revelations" regarding "hidden hands allegedly nudging the judicial system to free the accused in the 2008 Malegaon case." The petitioner has sought the Supreme Court's intervention to ensure a fair trial as there were reasons to "credibly fear" that "executive is attempting to influence the judicial system to cave in to the pressure exerted by it in all matters, including affording protection to right wing extremists who sympathize with its ideology". Swami Aseemanand was granted bail on August 28, 2014 by the Punjab and Haryana High Court though the certified copy of the order was made available only on May 1, 2015. "The NIA examined the feasibility of filing a Special Leave Petition and decided that there were no grounds to challenge the order in Supreme Court," the Minister said. In February 2007, bomb blasts in the Samjhauta Express had claimed 68 lives. Swami Aseemanand, arrested in November, 2010, was charged with murder and sedition. He is also accused of organising two other terror attacks that year - blasts at Hyderabad's famous Mecca Masjid and at the Ajmer Dargah in Rajasthan. Mos Home Haribhai Parathibhai Chaudhary however said that Swami Aseemanand continues to remain in jail as he "could not comply with the conditions of bail specified" in the order of Punjab and Haryana High Court last August. Haribhai Chaudhary also informed the Lok Sabha that the government did not deem fit to challenge the March 21, 2014, order granting bail to the two accused in the Mecca Masjid blast case of May, 2007 -- Devender Gupta and Lokesh Sharma -- on grounds of parity since on June 3, 2012, and June 27, 2013, respectively, bail was granted to Bharat Mohan Lal alias Bharat Bhai and Tejaram Parmar which was not challenged by the prosecution. However, the Minister made it clear that both the accused were in jail as they were accused in other criminal cases wherein they have been denied bail.